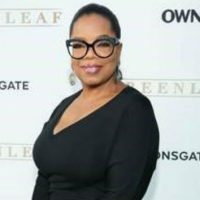 OWN(LOS ANGELES) — Oprah Winfrey lost her mother Vernita Lee at the age of 83 this past Thanksgiving. Now the media mogul is opening up to People about how she “surprised” her mother so they could spend some precious final moments together. “I sat with my mother. I said, ‘I don’t know if you’re going to make it. Do you think you’re going to make it?’ She said, ‘I don’t think I am.’ I had a conversation with her about what that felt like, what it felt like to be near the end,” she told the magazine. Winfrey then told others that if they wanted to come and say goodbye, they could come to her home in Milwaukee. And they did, which gave Lee great joy and made Winfrey proud to see people paying their final respects. When she left, she thought that would be the last time she spoke to her mother. But it wasn’t. Not satisfied with the meeting, Winfrey cancelled stops on a promotional tour to come home one more time. “I waited for a way to say what I wanted to say,” she said, according the magazine. After praying for a sign, she realized it was music that would help her break through. The duo played music, some of Lee’s favorites, and Oprah found those tough words she had been struggling to find.